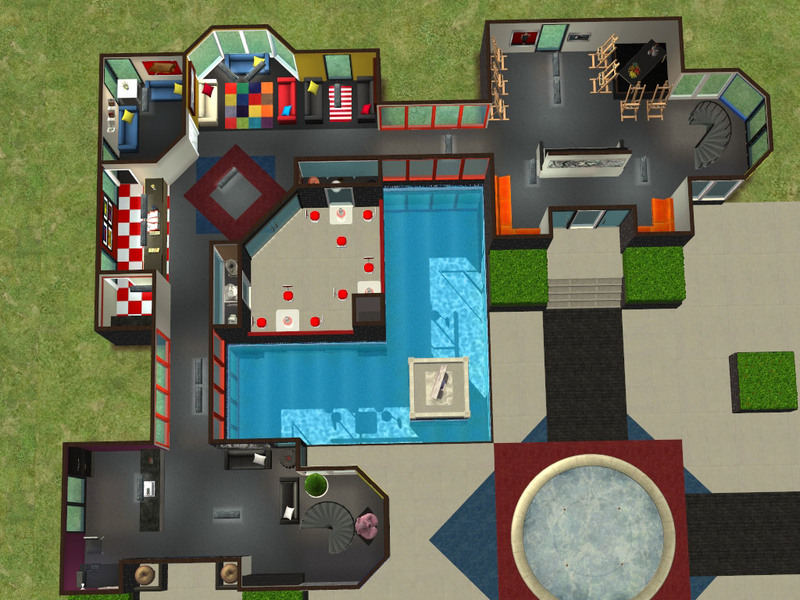 For round 5 of the Campus Constructor's Contest I finally was able to build a library. 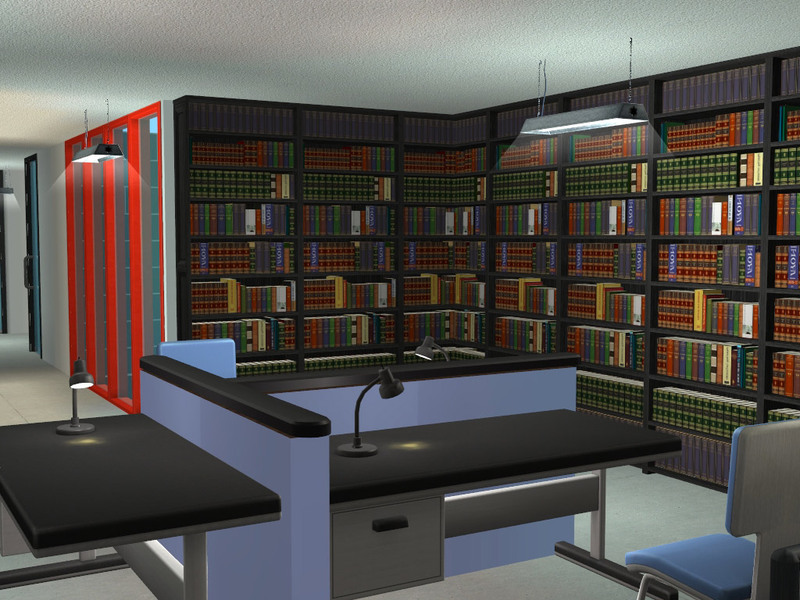 Karen Lorraine provided us with the gigantic shell, so at least there are plenty of bookcases to fill every sims' needs! 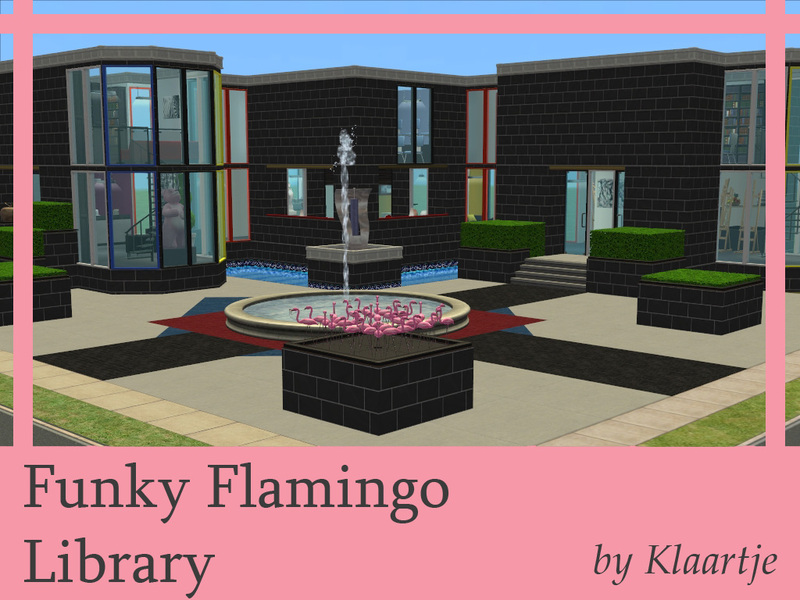 Welcome to the biggest library on campus, the Funky Flamingo! It's a place that meets all your learning needs. Of course, like with any university library, it's a place to socialize and hang out. After all it's all about seeing and being seen whilst you pretend to be nerdy with your bilingual edition of Plato. To match the other central locations of the campus, there is a nice fountain and water feature complete with a couple of statues. And of course the famous funky flamingoes that the library is named after. If you decide to stay for an extended visit, it might be worth to check out all the homemade cakes that the cafetaria has on offer. Take your drinks outside on the terrace to enjoy a break from the dusty smell of books. Of course a library wouldn't go without their own special collection of art to put on display. 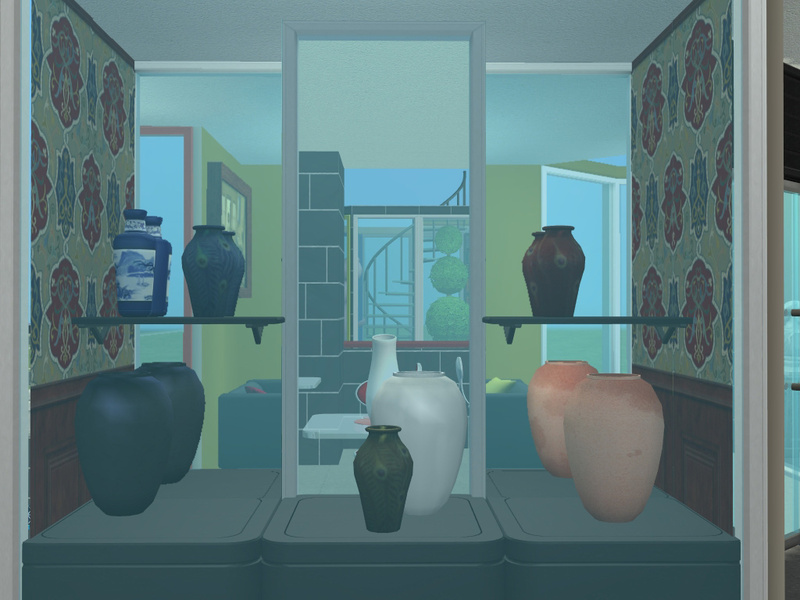 For this month, they have chosen to showcase the special collection of modern Chinese vases. 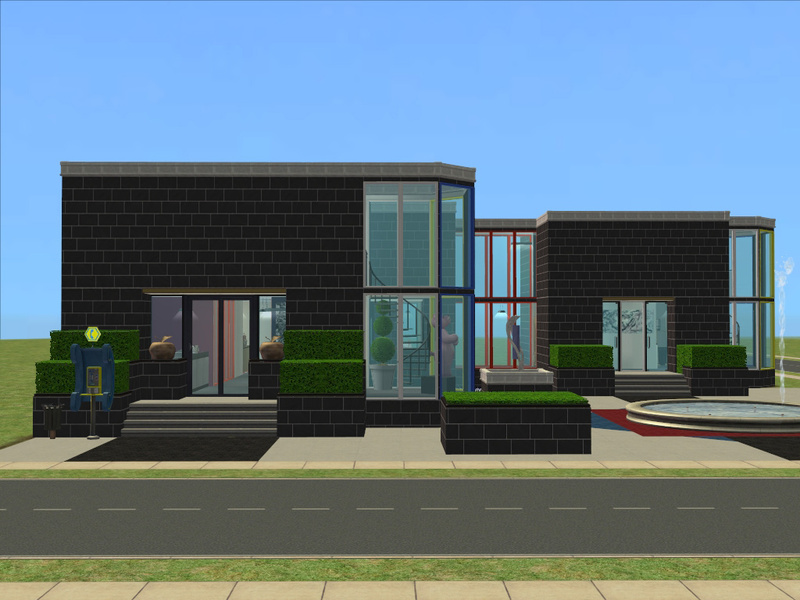 Because old stuff is boring and modern is cool. Who knew Chinese vases had been modernized? That's what a library is all about: educating the people. Upstairs is where the real fun happens! Rows and rows of books with a couple of desks, with and without computer in case you bring your own, some seating and more rows of books. - 46 bookshelves were used to create the lot. - One pack of Skittles eaten during the entire building process. Thanks to Karen Lorraine for the foundation and the great contest! 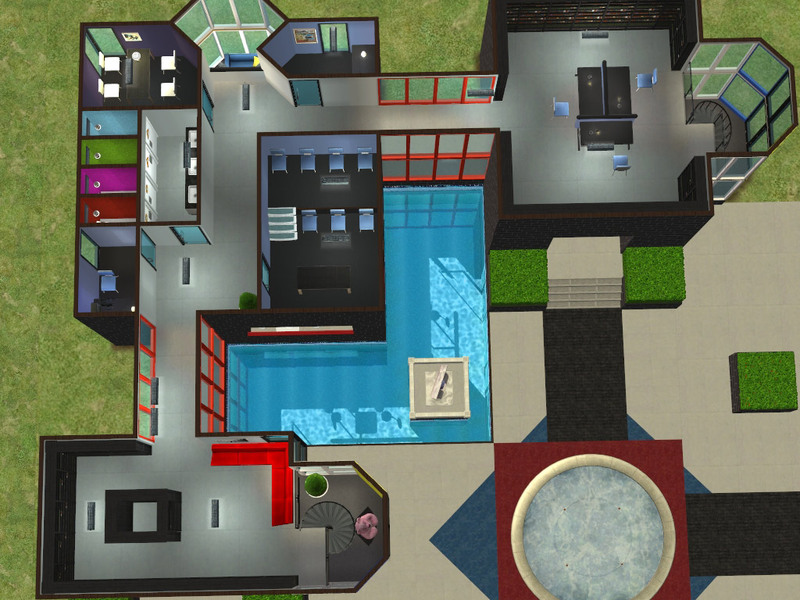 I like how you have structured the lot, the cafeteria, the corner of the library. 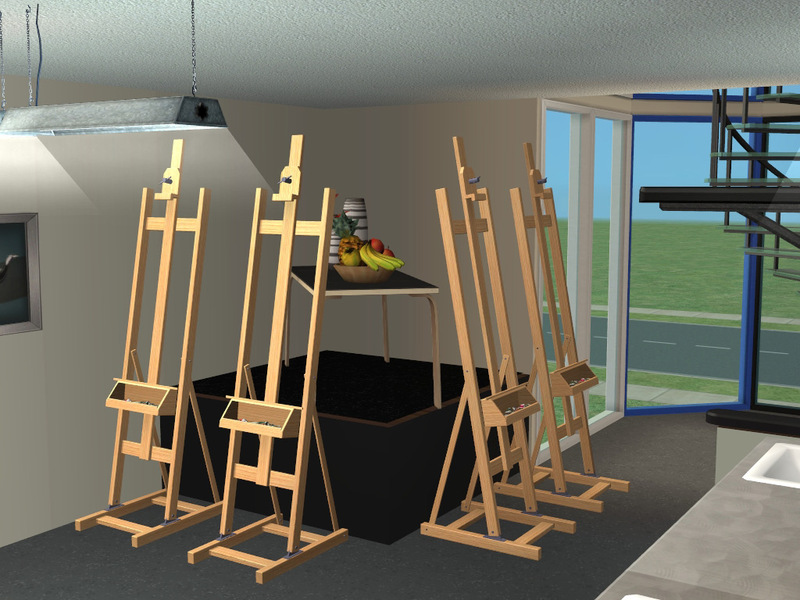 Love it, Klaartje, gotta go score them all now! 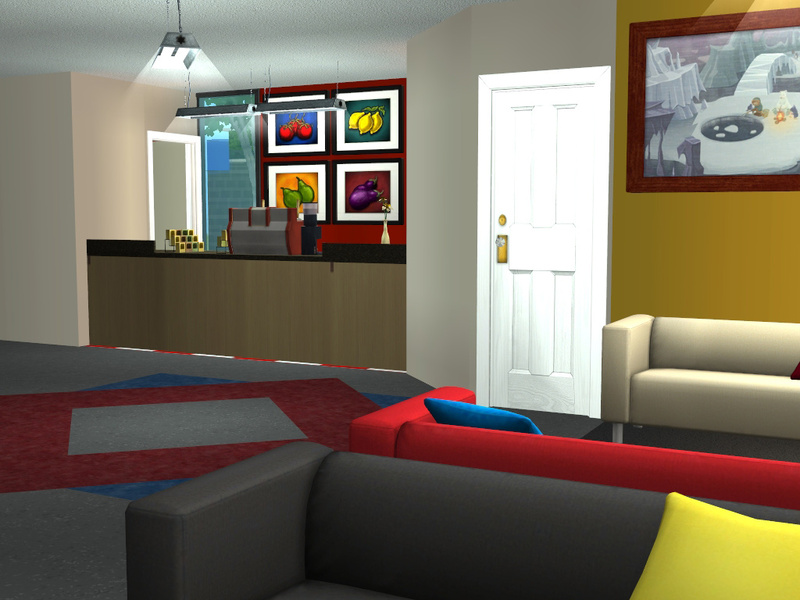 Gosh this place looks fantastic! It has such charm in every little detailed section. Just adorable. Thanks for sharing!